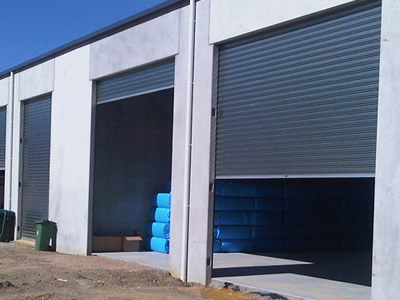 Roller shutters are widely used in industrial and commercial applications, such as warehouses, factories, loading bays, car park entries, mining and high security areas. The TAUREAN® SECURA-T range of roller shutters are a traditional design proven to withstand many years of operation in even the harshest of situations. They are custom built to provide unbeatable balance and smooth motion which provides the best industrial doors available. Each shutter is constructed using interlocking slats which provide strength and security while retaining the flexibility required to operate smoothly. The doors have a stylish curtain made from the highest quality steel and are available in a wide range of popular colours and in a full range of opening sizes up to 12 000mm high and up to 12 000mm wide to suit large and small for industrial facilities like car parks, factories, loading docks, sheds.